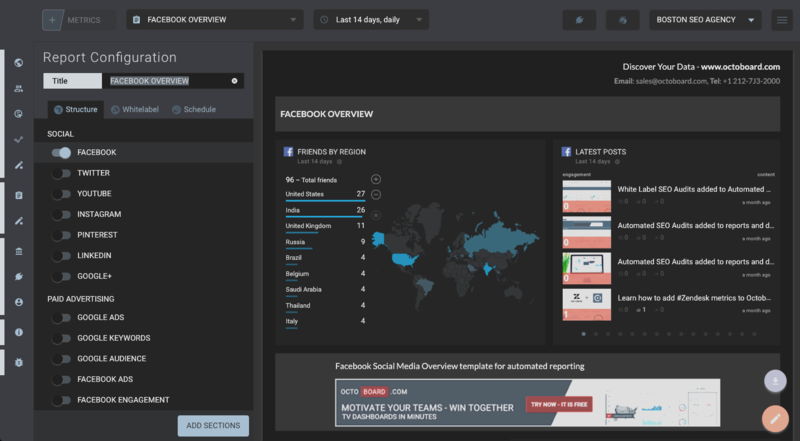 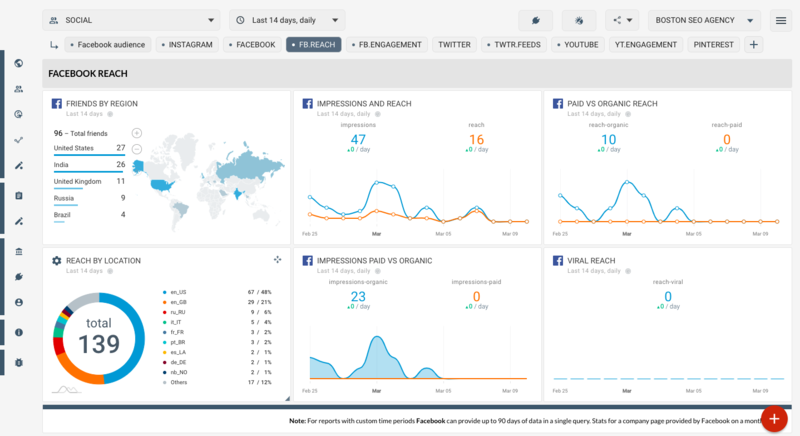 Watch engagement signals from social networks, mentions, and blog comment feeds. 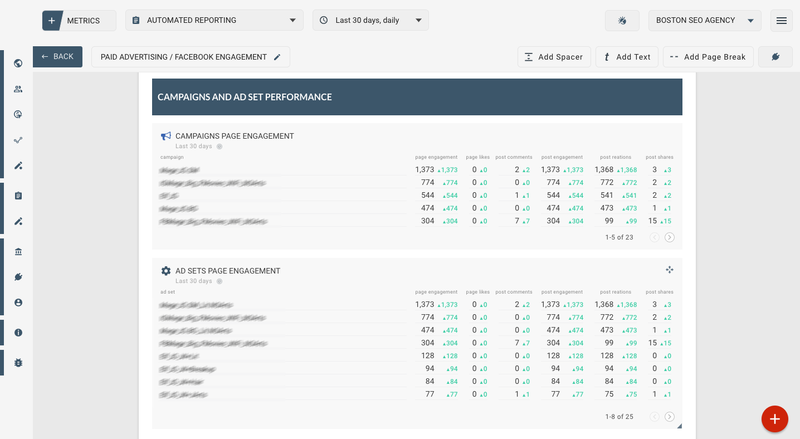 Engage back with your readers! 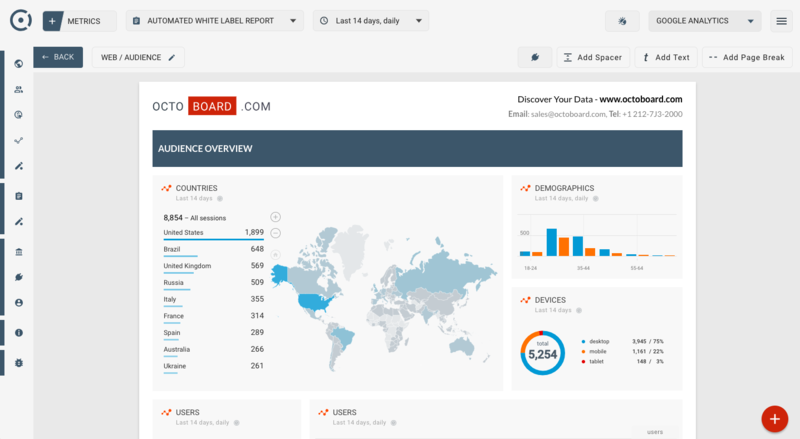 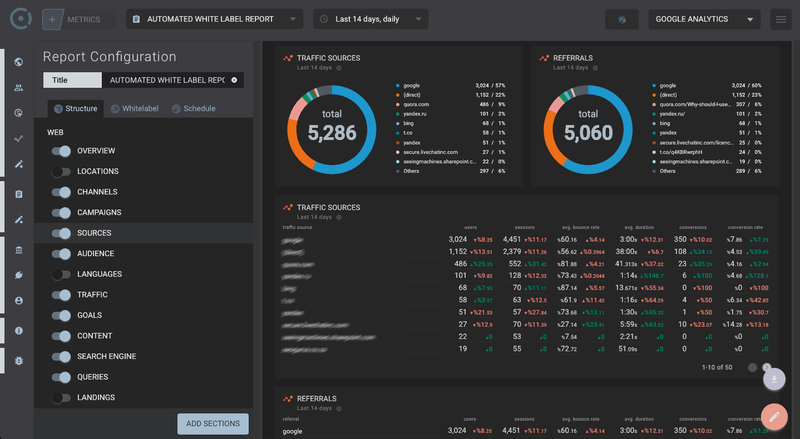 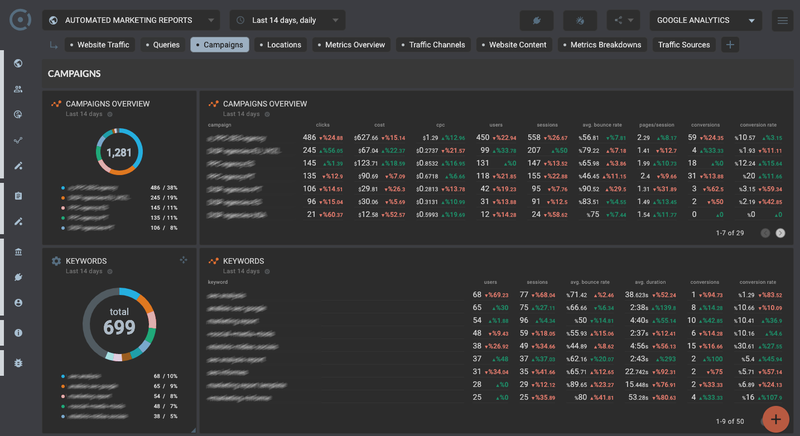 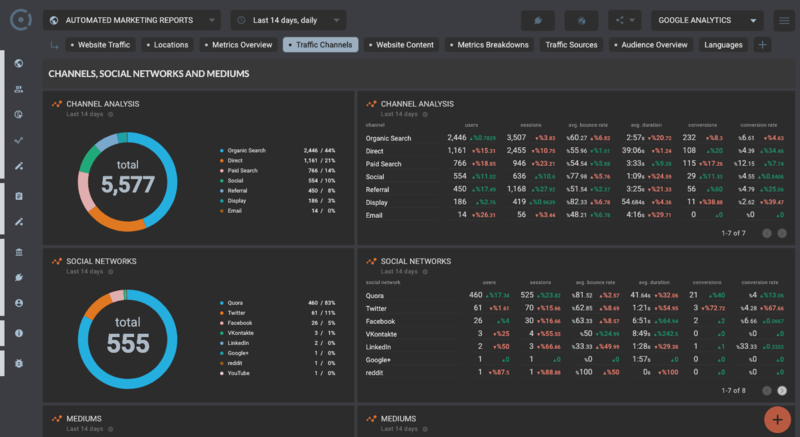 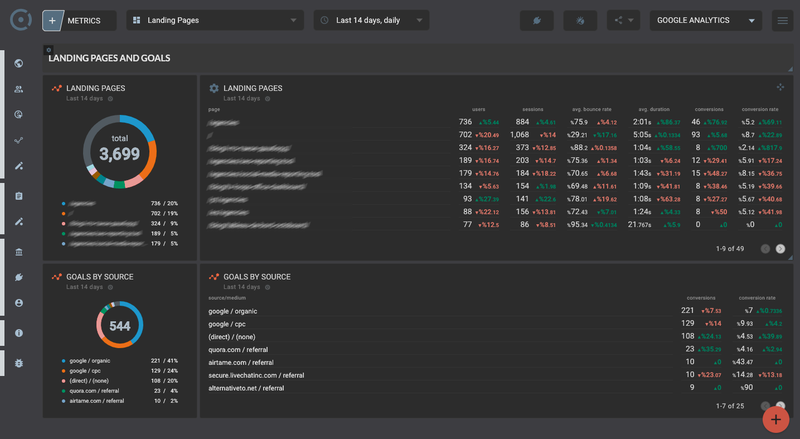 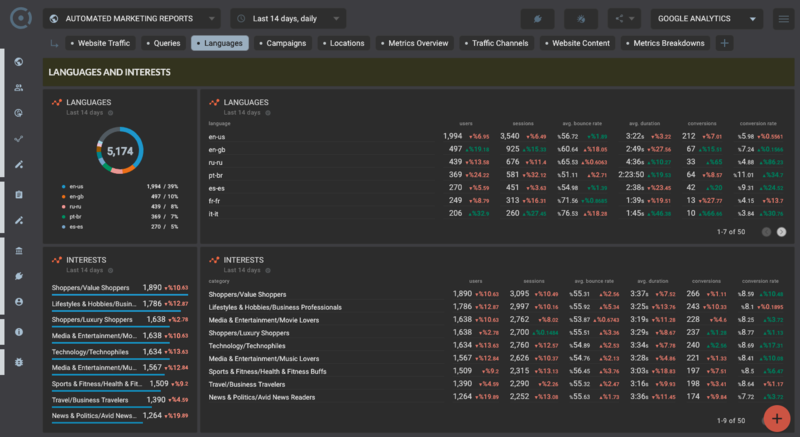 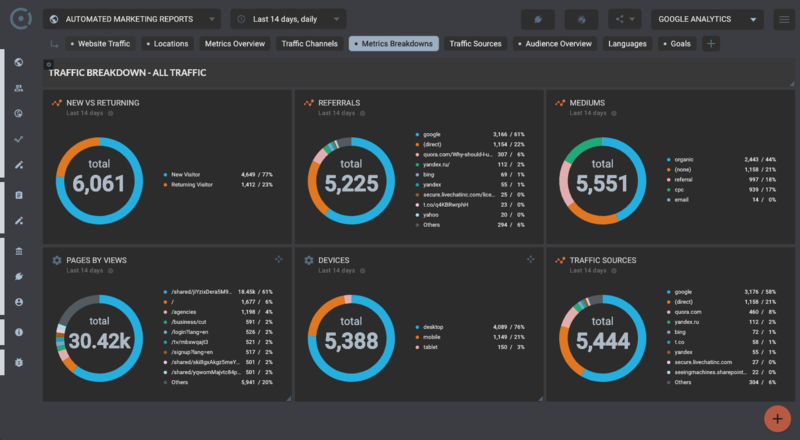 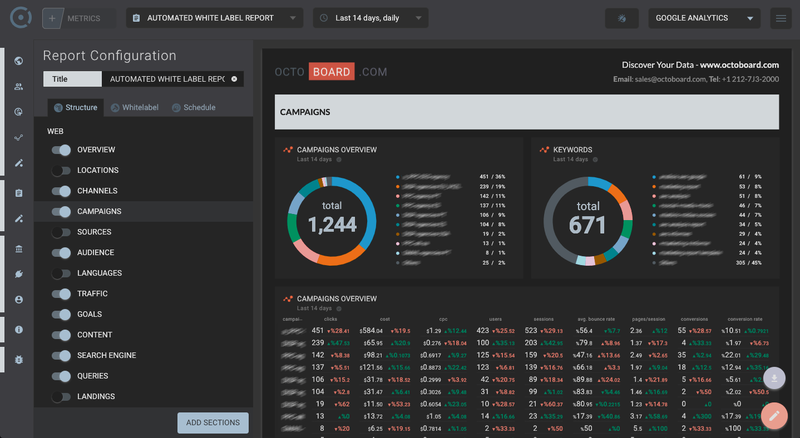 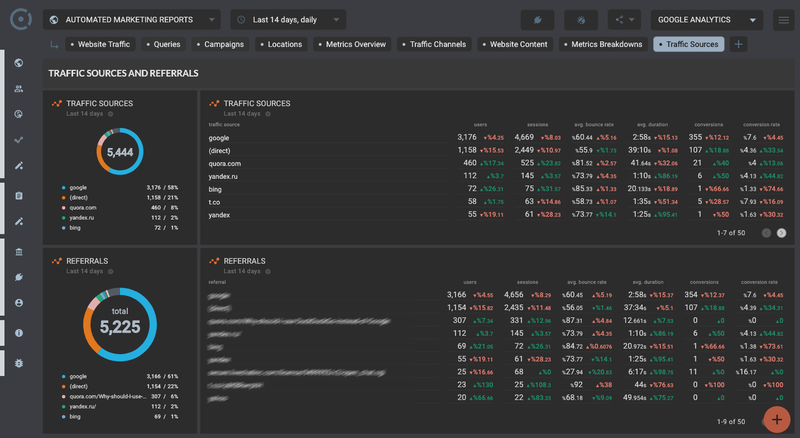 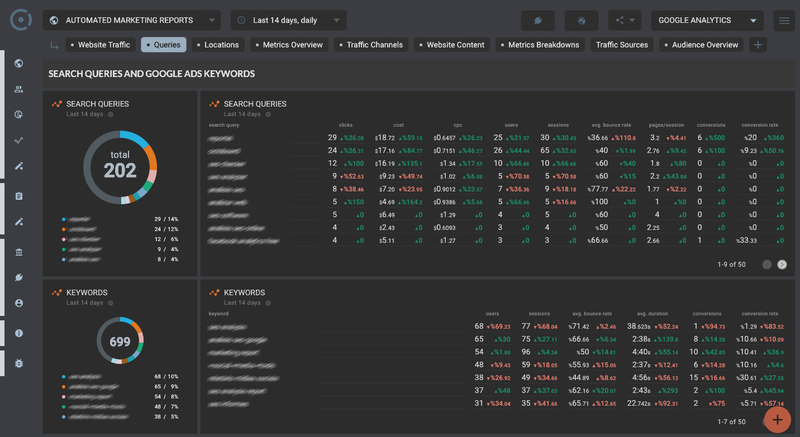 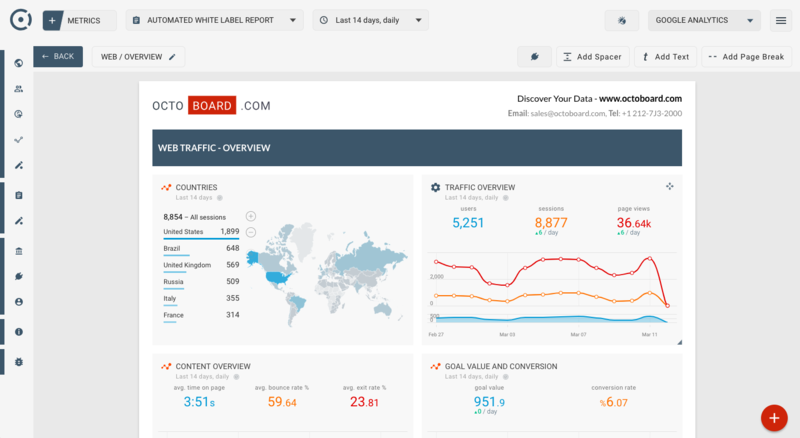 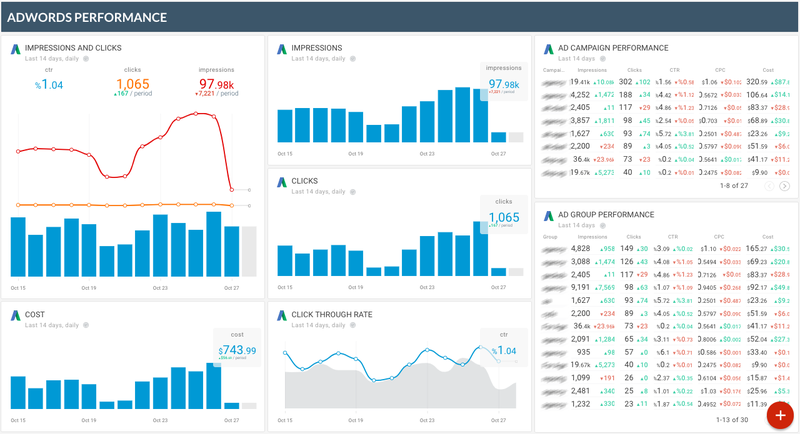 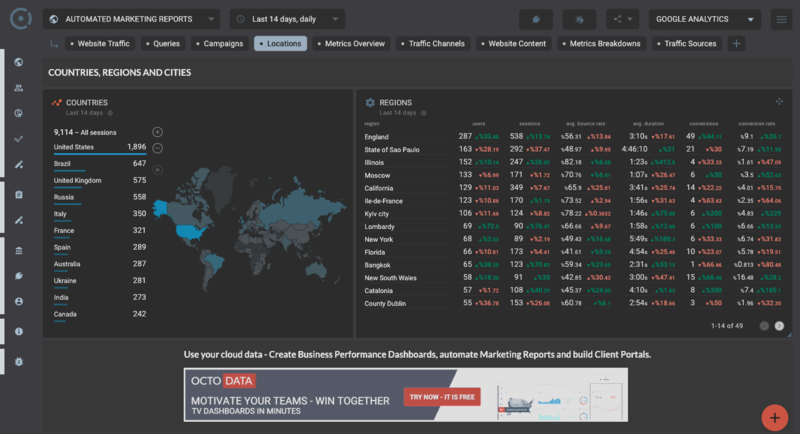 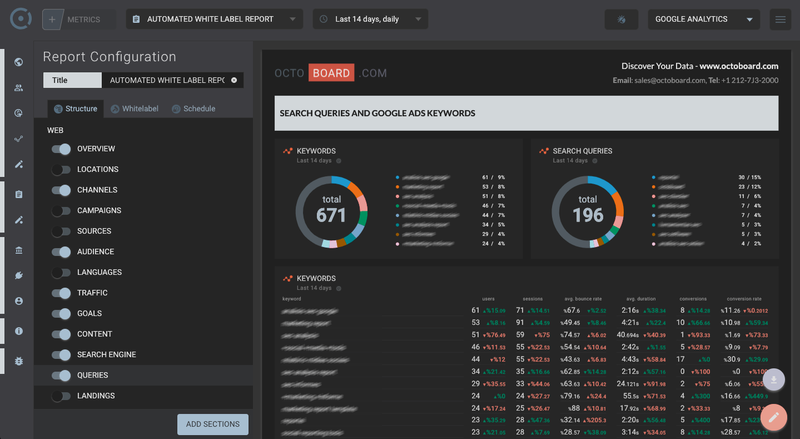 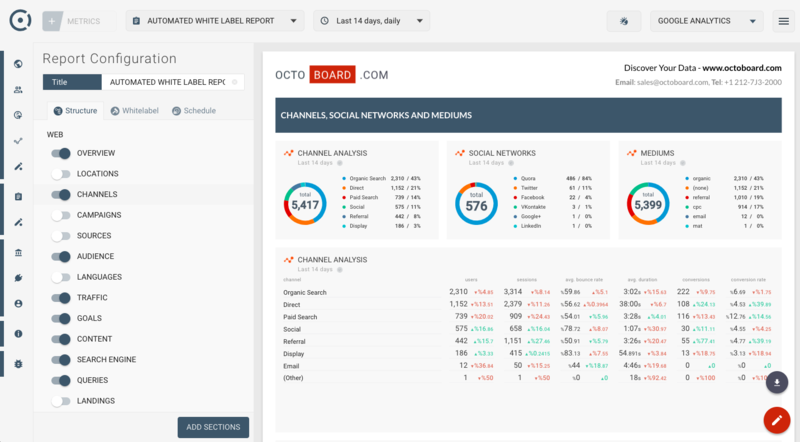 Setup competitor dashboard, find our what works, learn marketing and social tactics from the best. 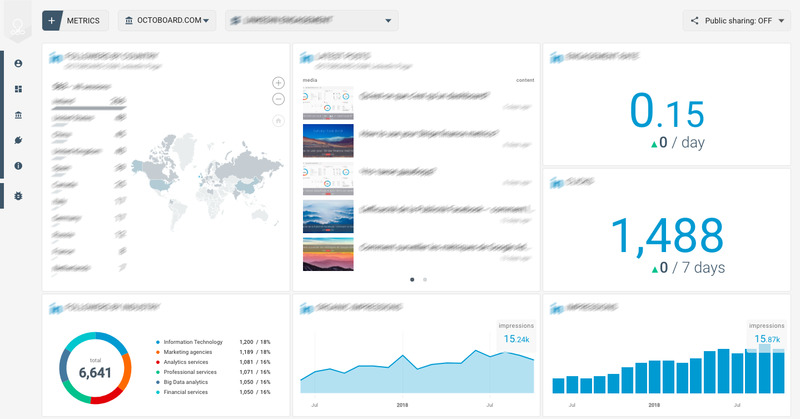 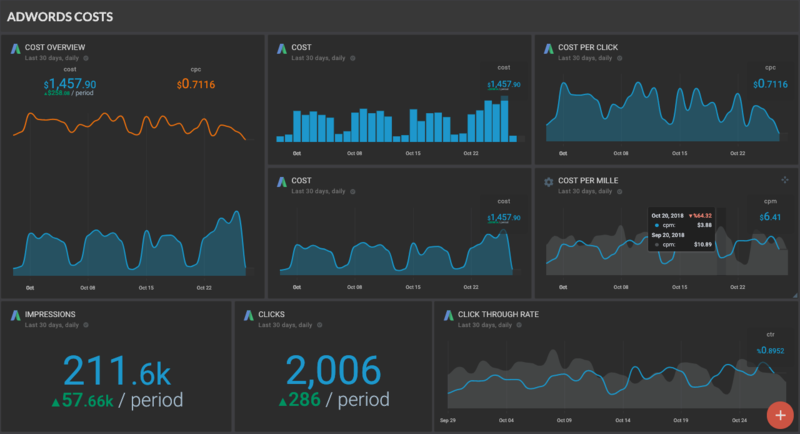 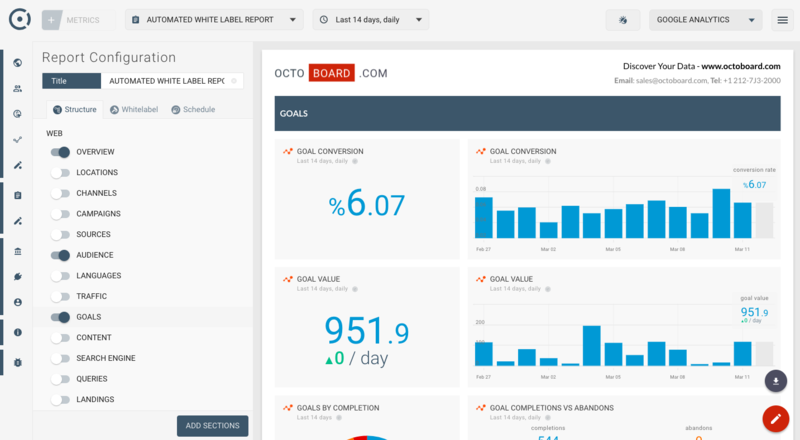 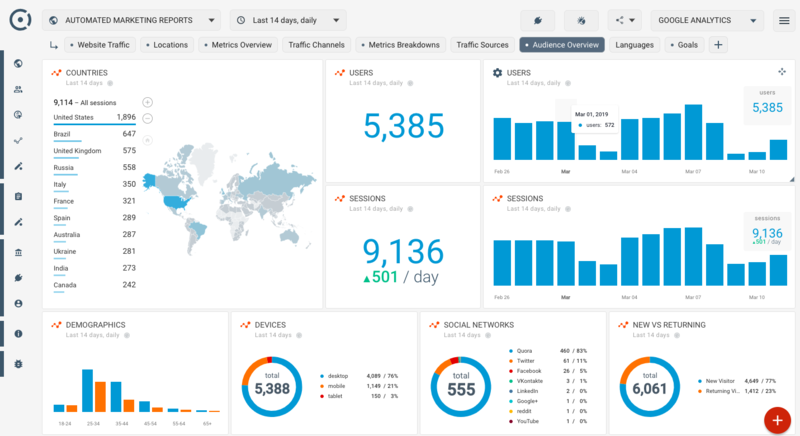 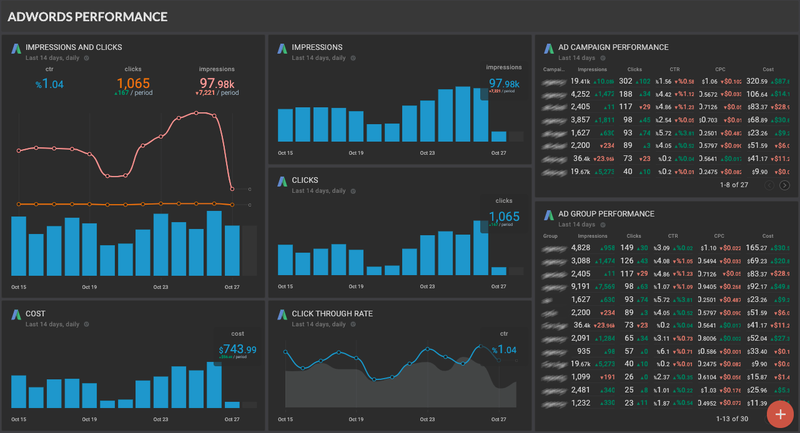 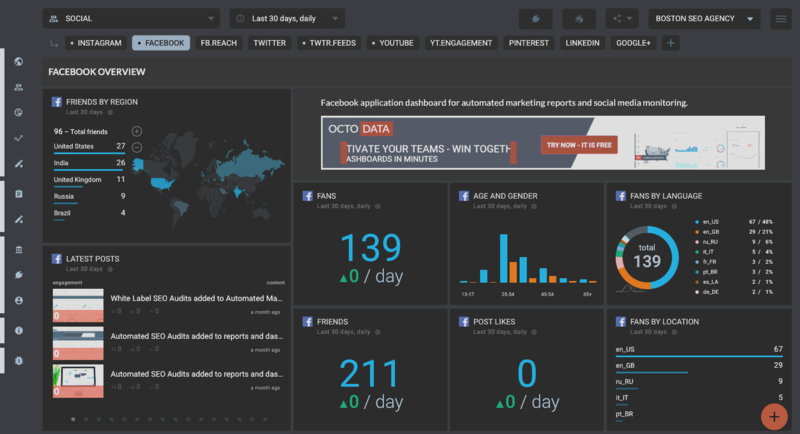 Octoboard will automatically collect data from all your cloud applications. 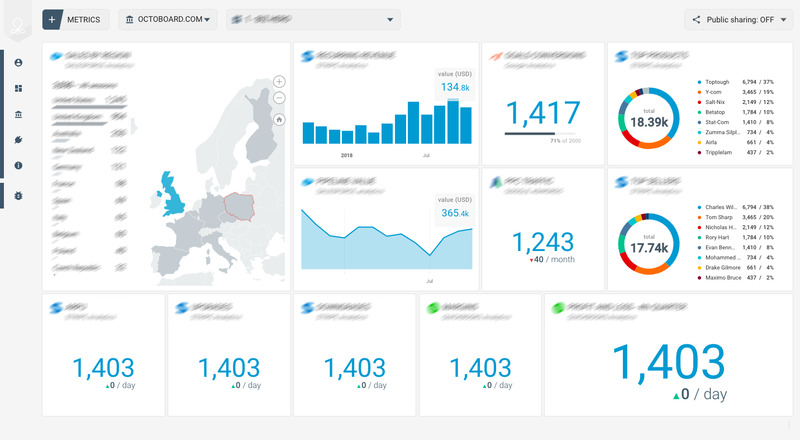 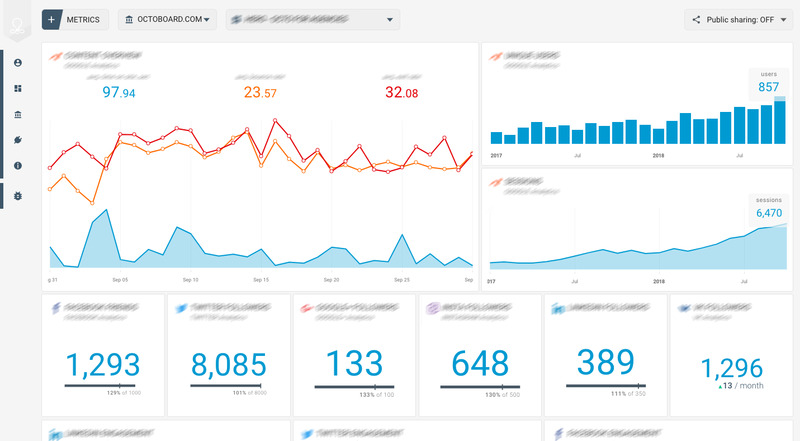 We will look after data consistency and save you a lot of time on data visualization, sharing and reporting. 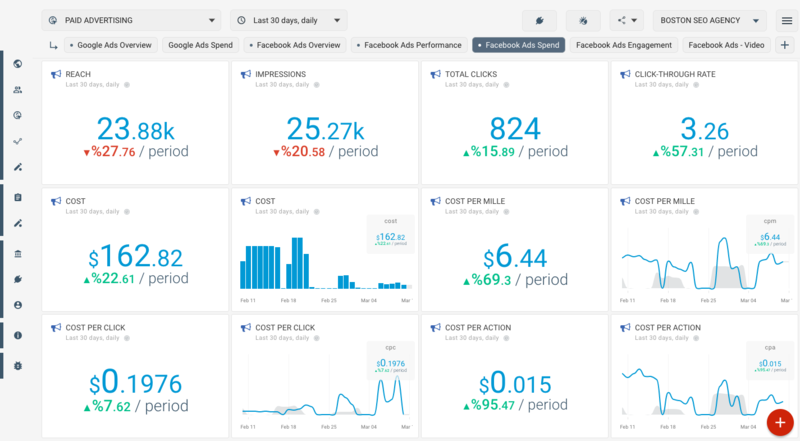 Measure success of paid advertising campaigns. 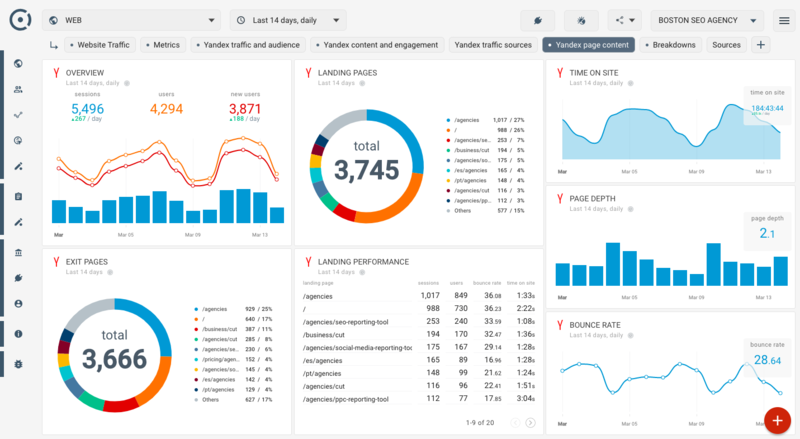 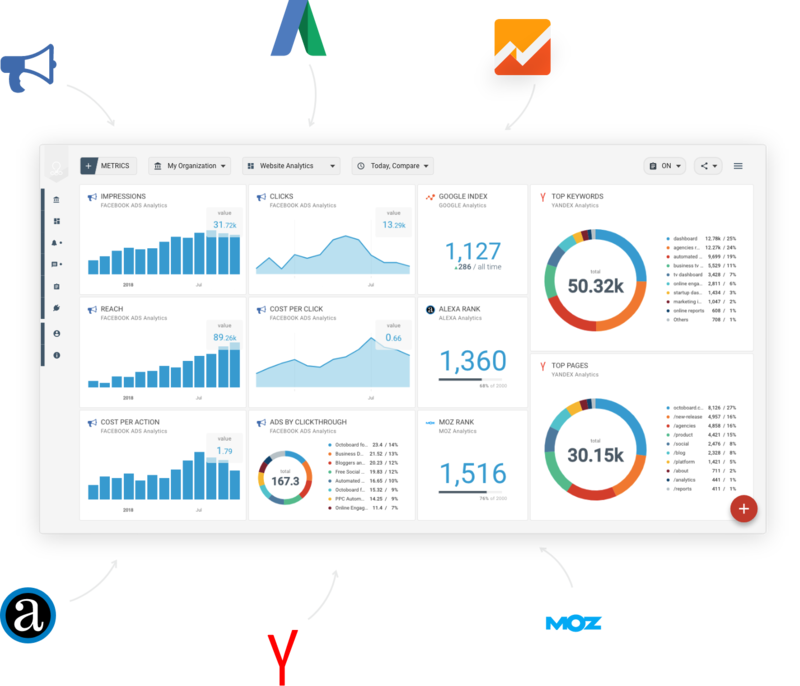 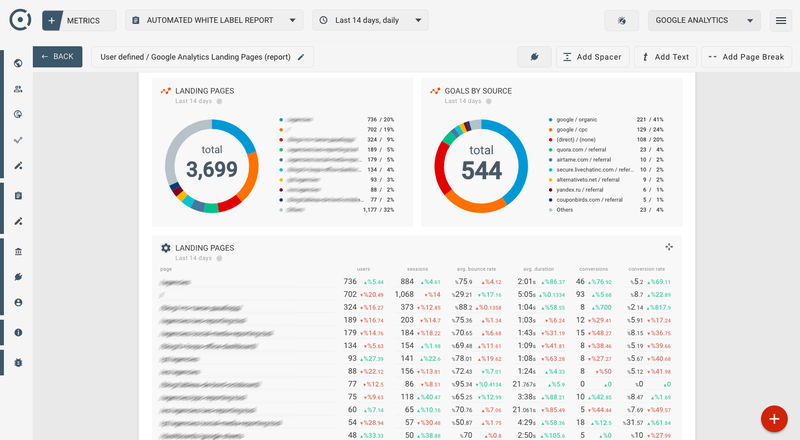 Connect Google Analytics, Google Adwords and Yandex Metrika. 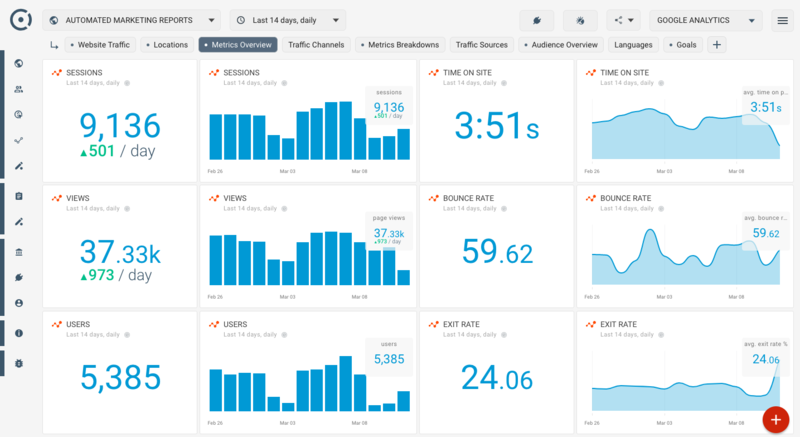 Add MOZ and ALEXA stats. 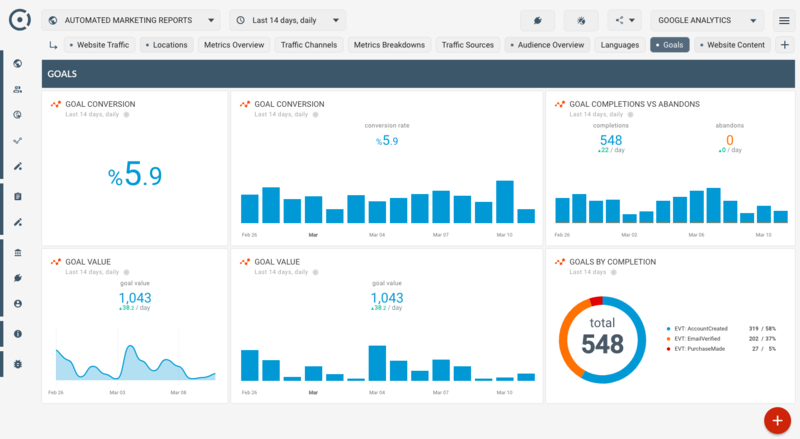 Set goals and get more traffic from search engines. 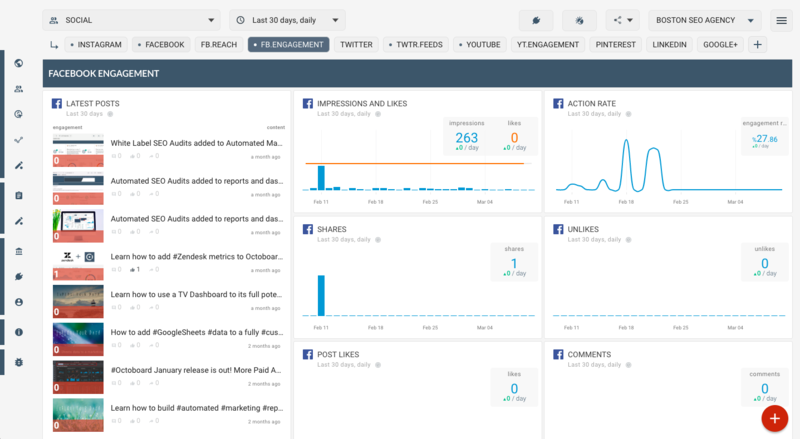 Blog contributors performance, user engagement, mentions, SEO metrics, web analytics and more. 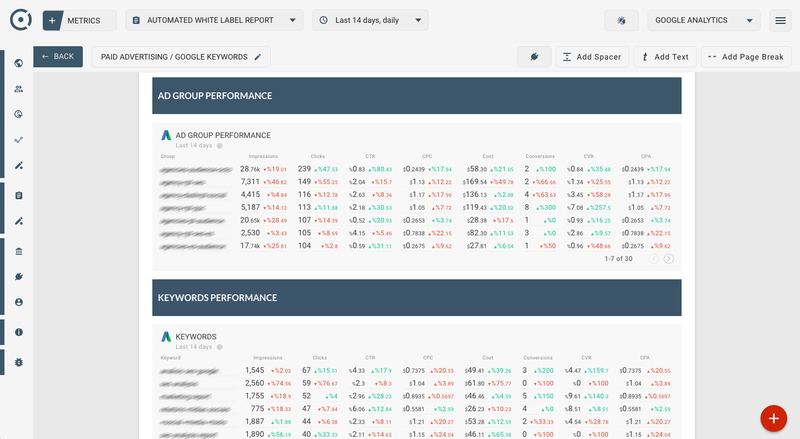 SEO metrics for your web site from Google Search Console - rankings and performance over time). 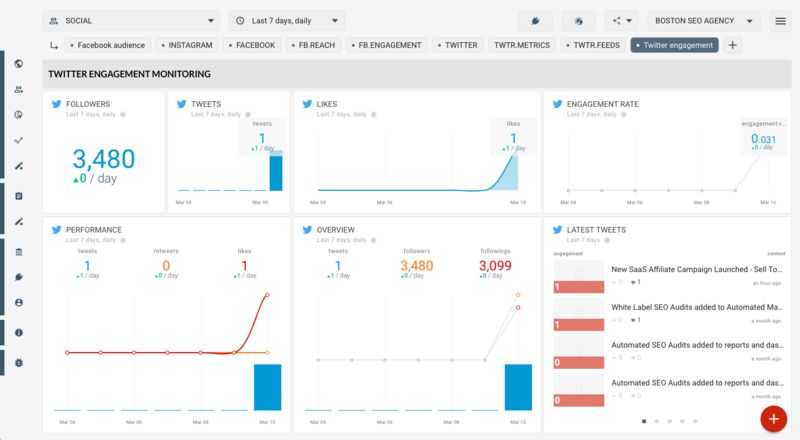 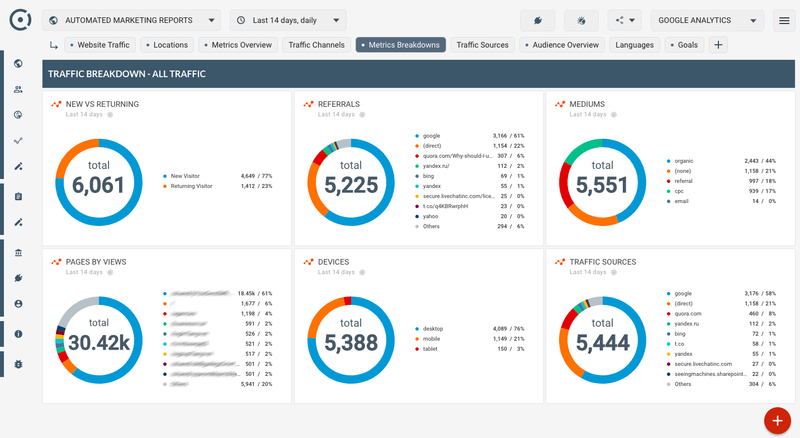 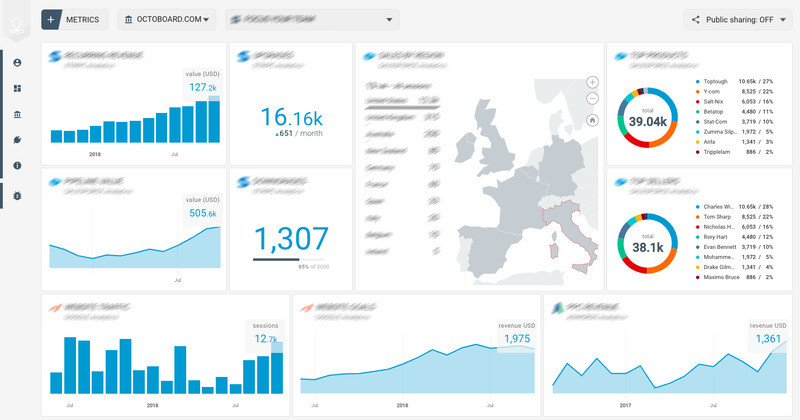 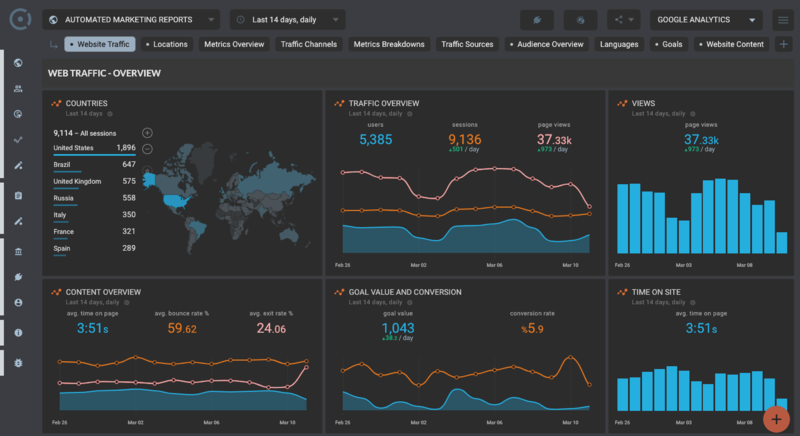 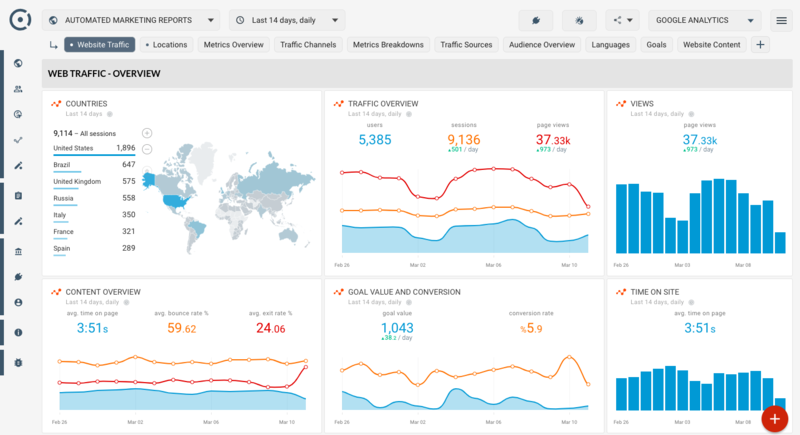 Twitter social media dashboard: reach and engagement metrics. 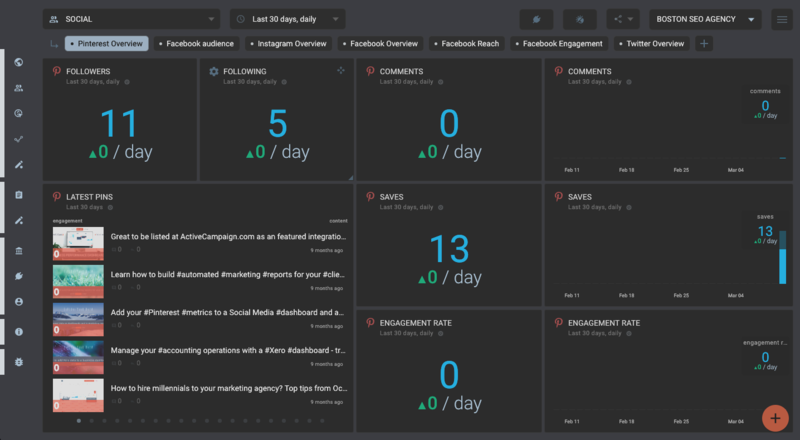 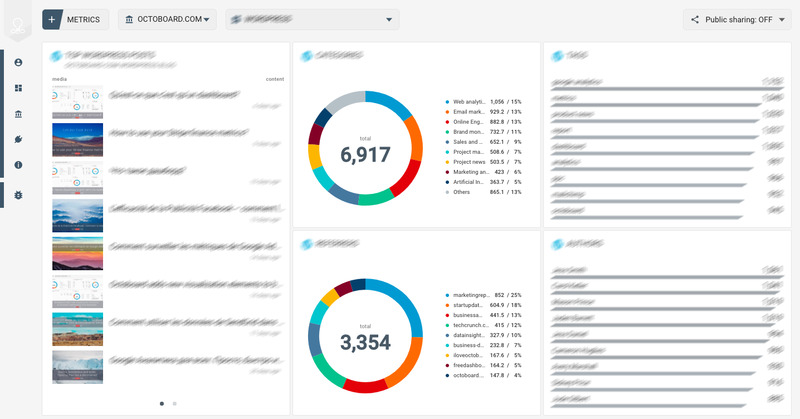 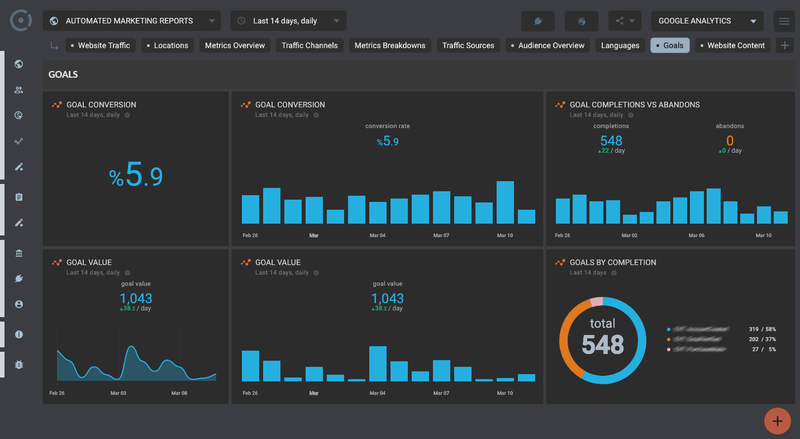 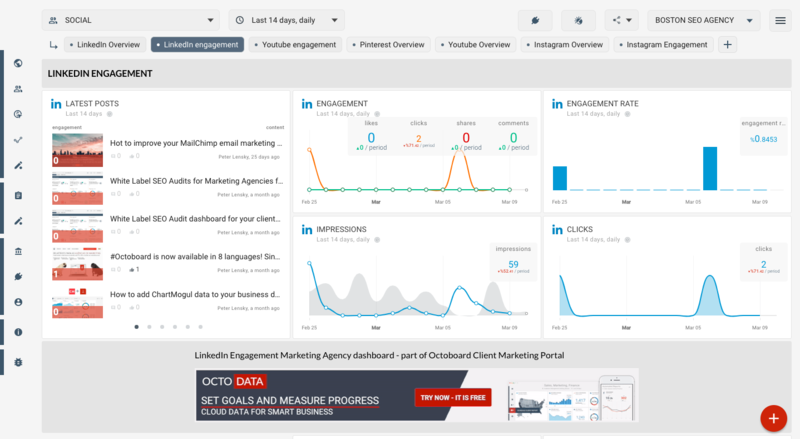 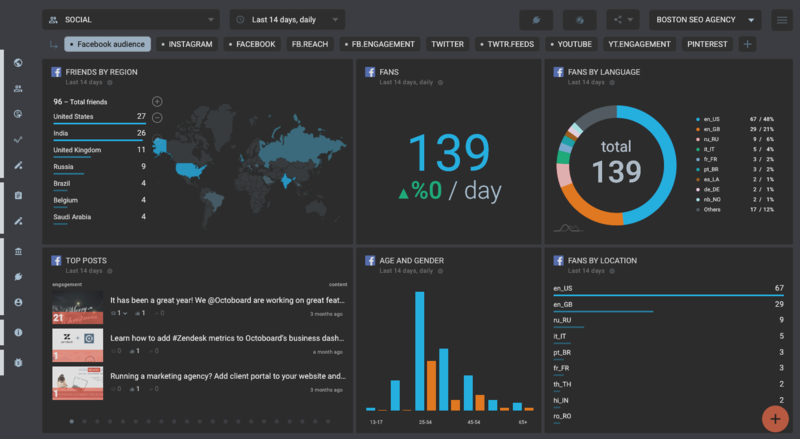 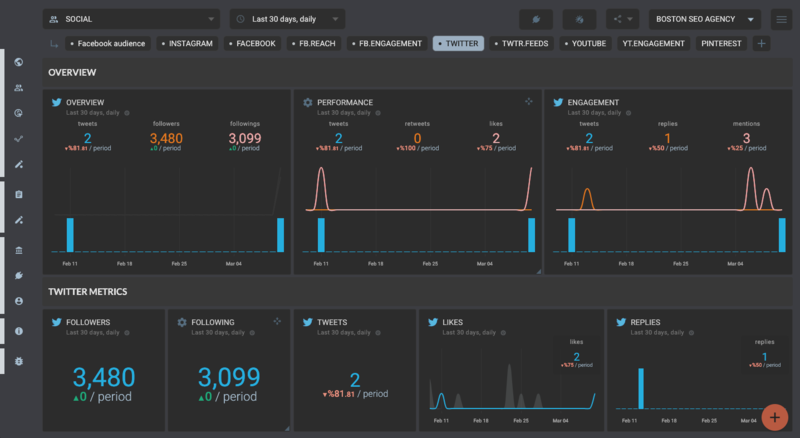 Twitter social media dashboard: engagement metrics. 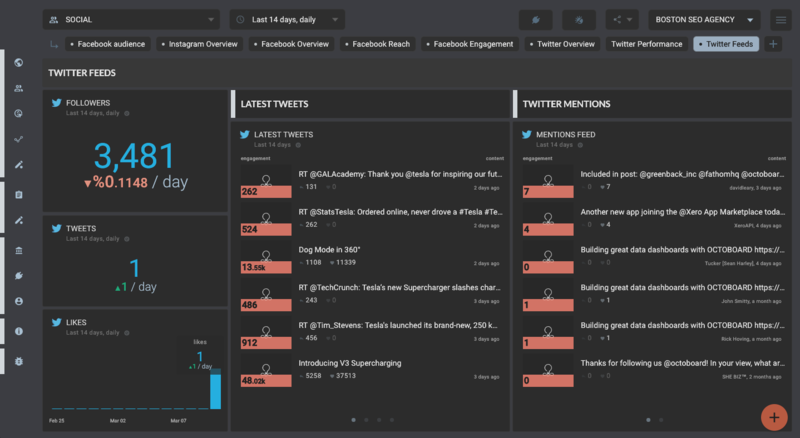 Twitter social media dashboard. 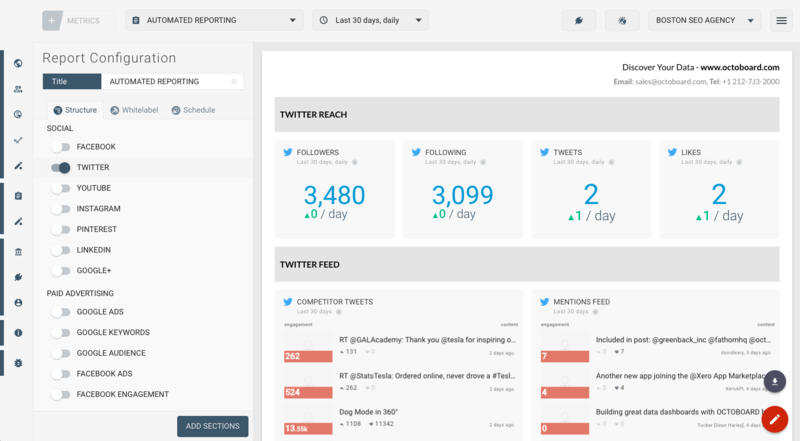 Twitter feeds: tweets and mentions. 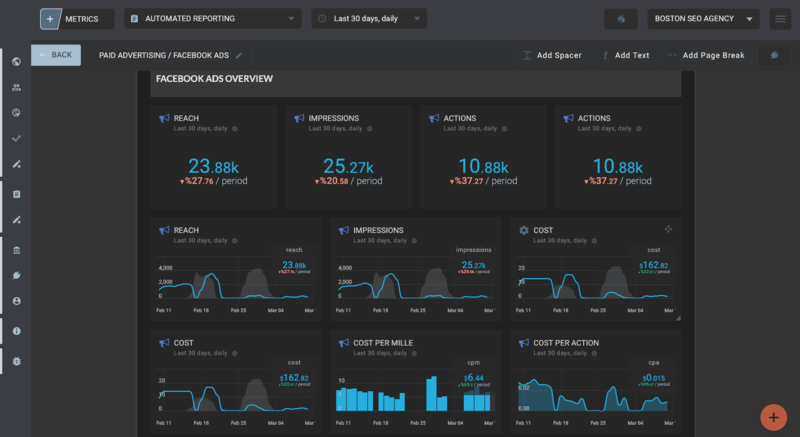 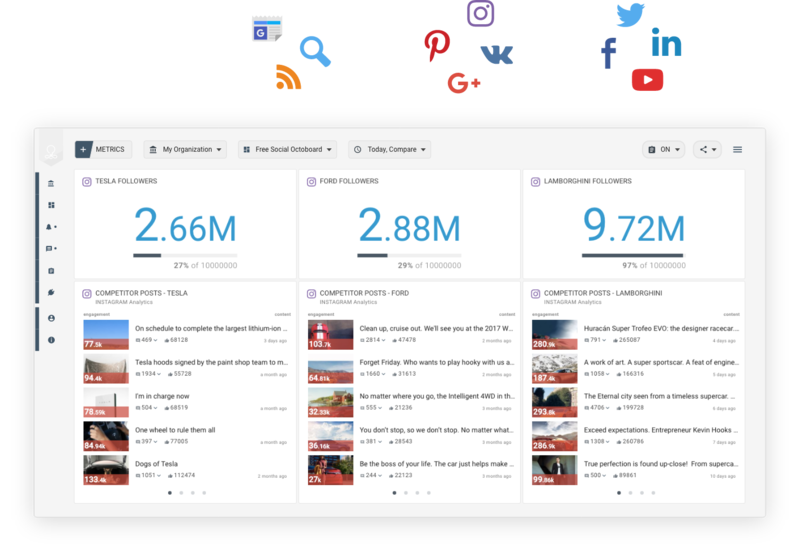 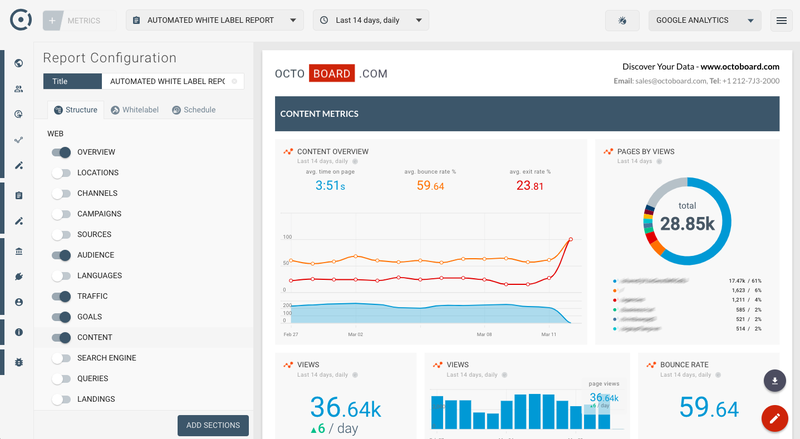 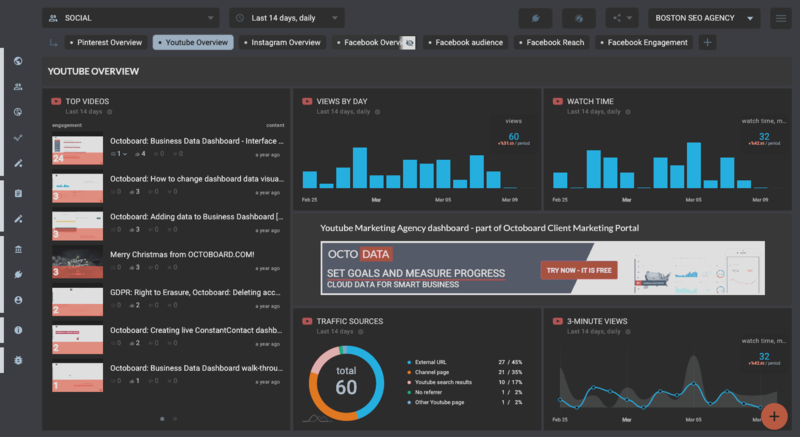 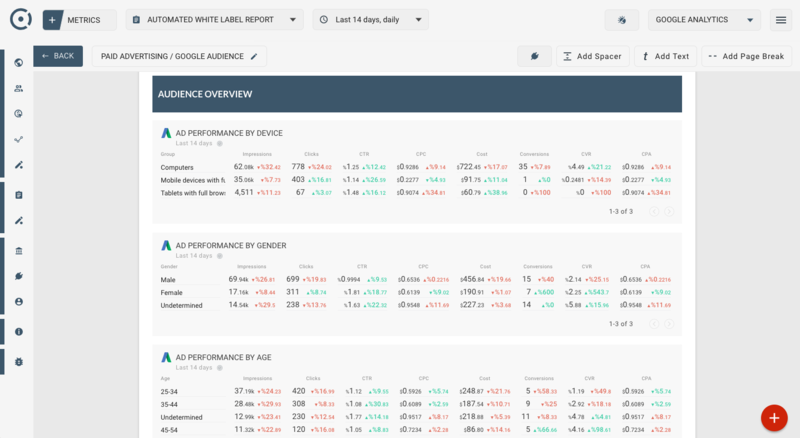 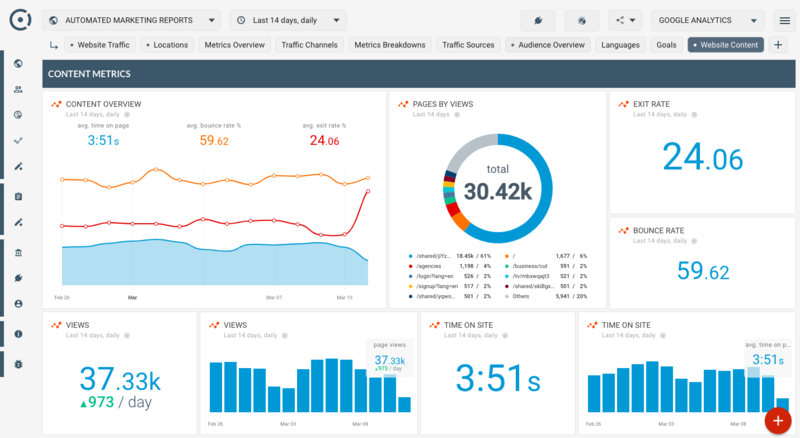 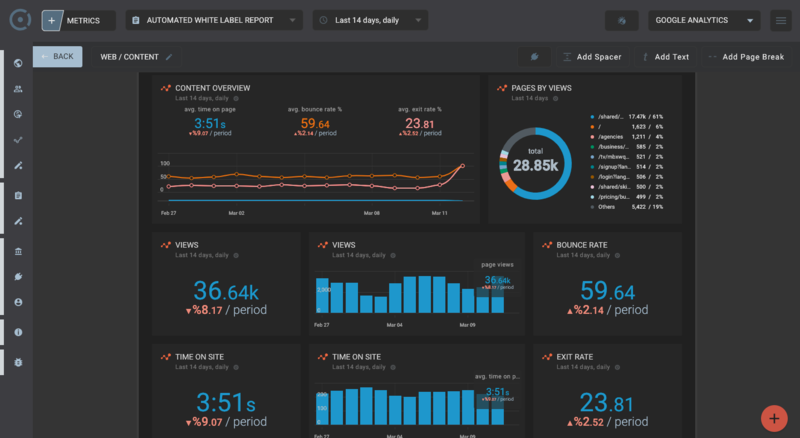 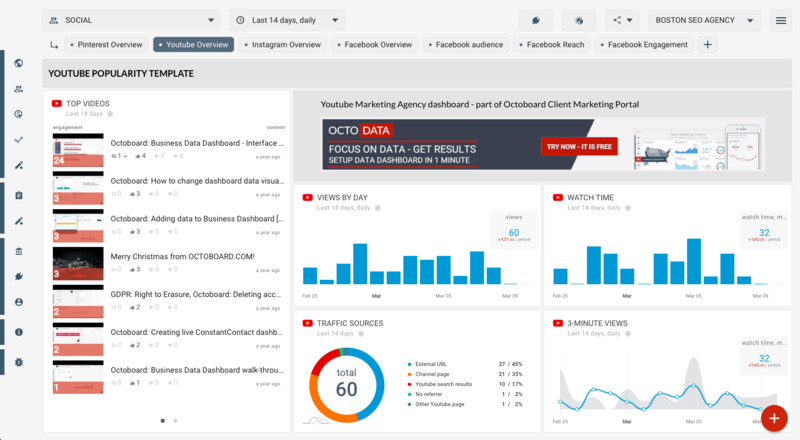 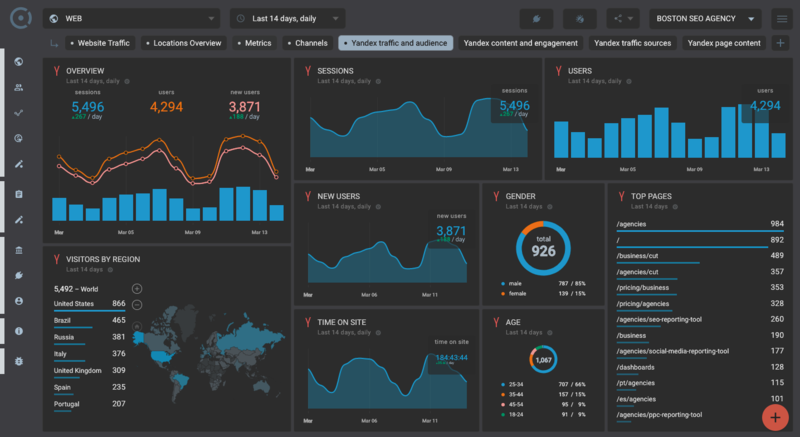 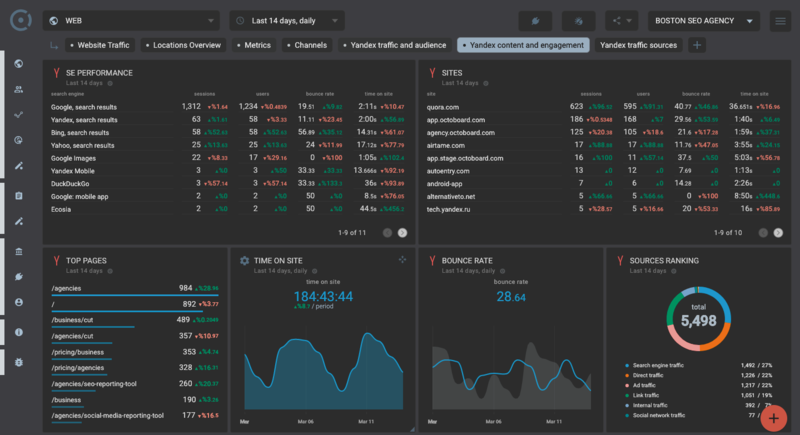 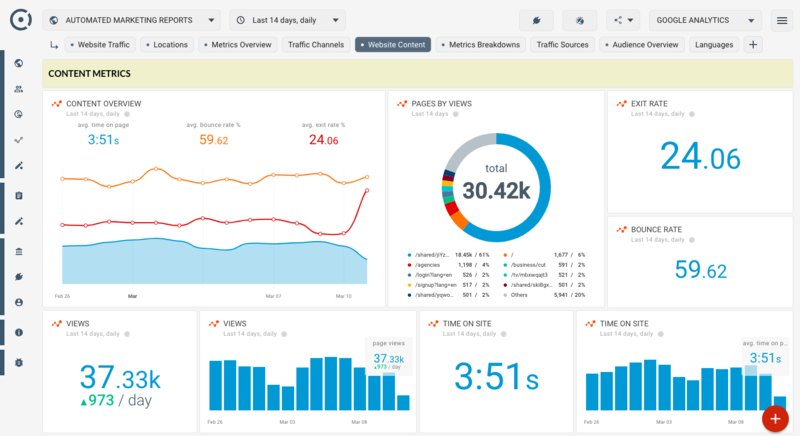 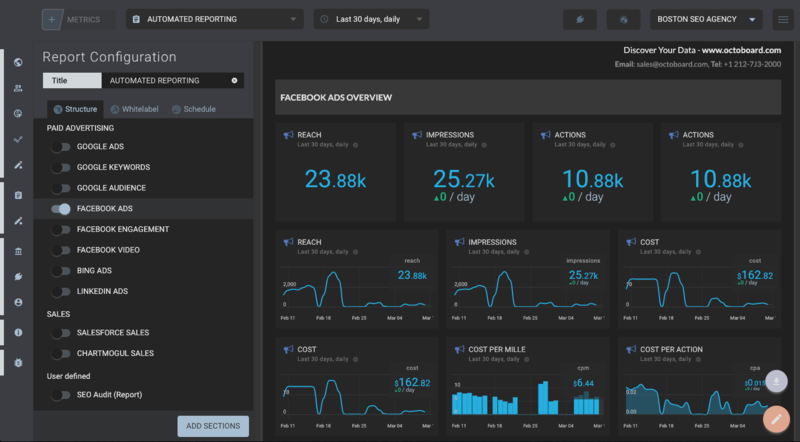 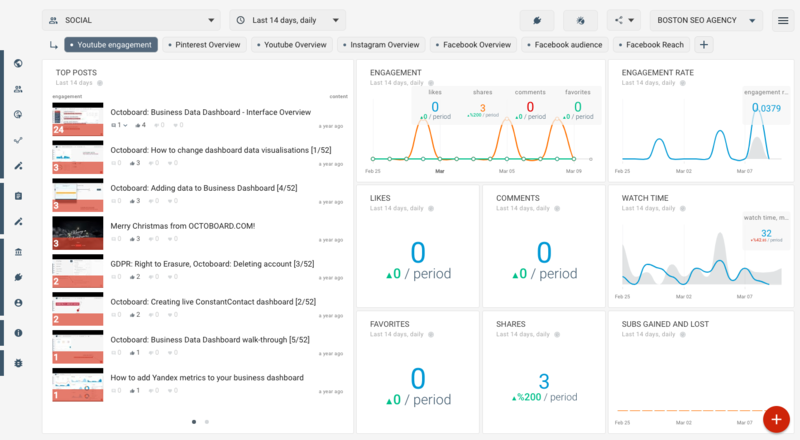 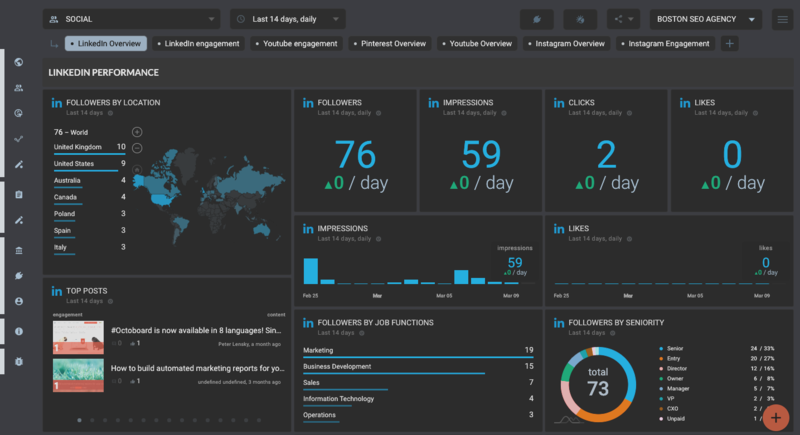 Youtube social media dashboard: feed, reach and engagement metrics. 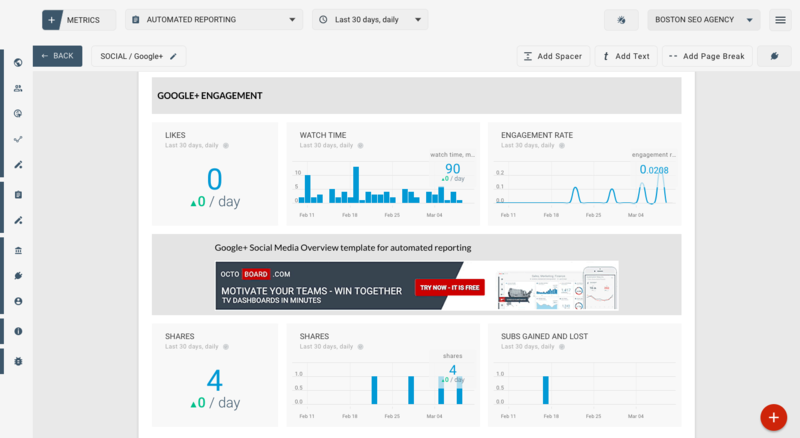 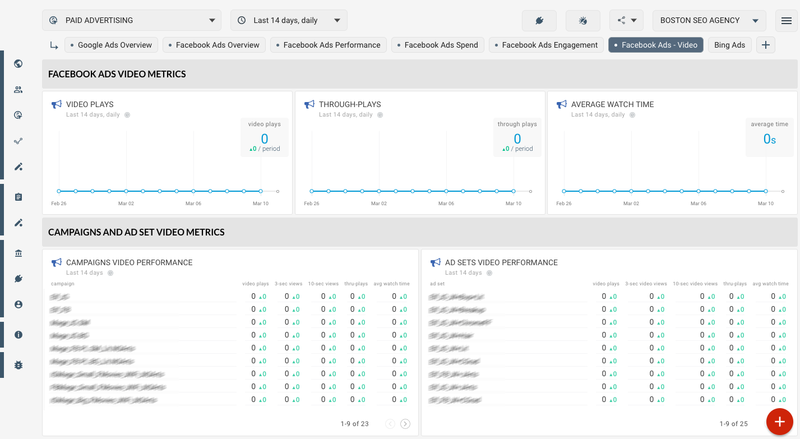 Youtube social media dashboard: Engagement metrics. 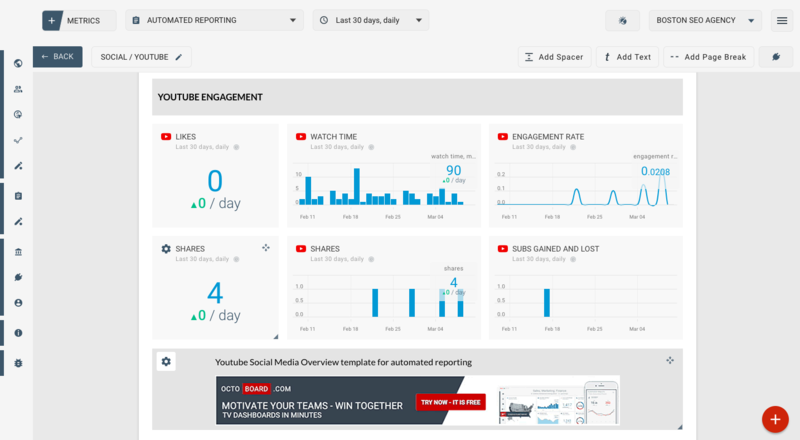 Youtube social media report: Engagement metrics. 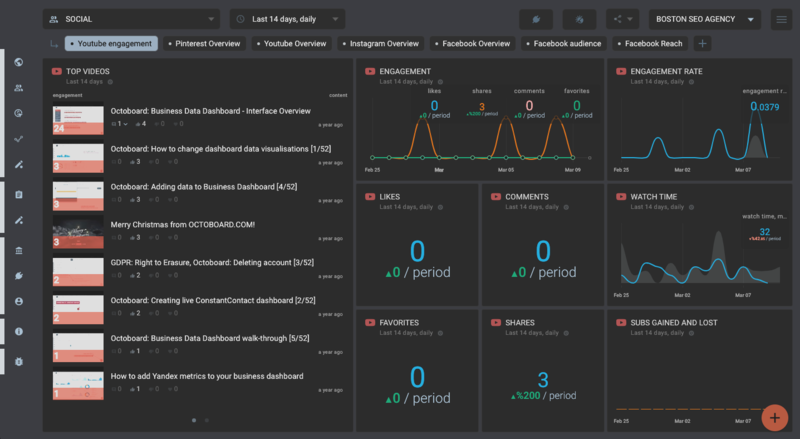 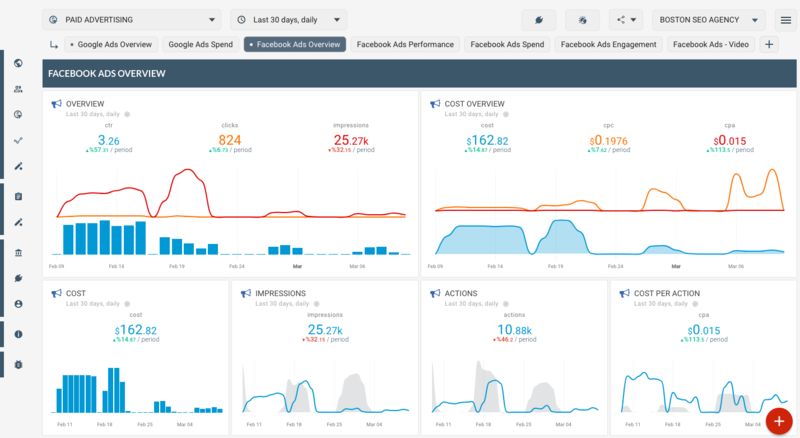 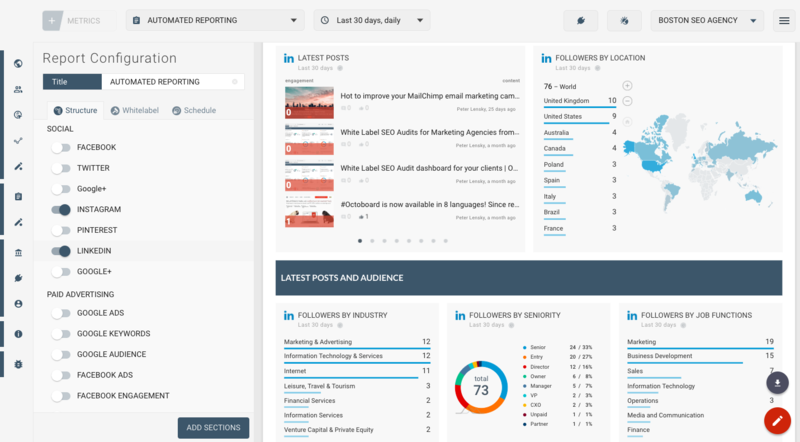 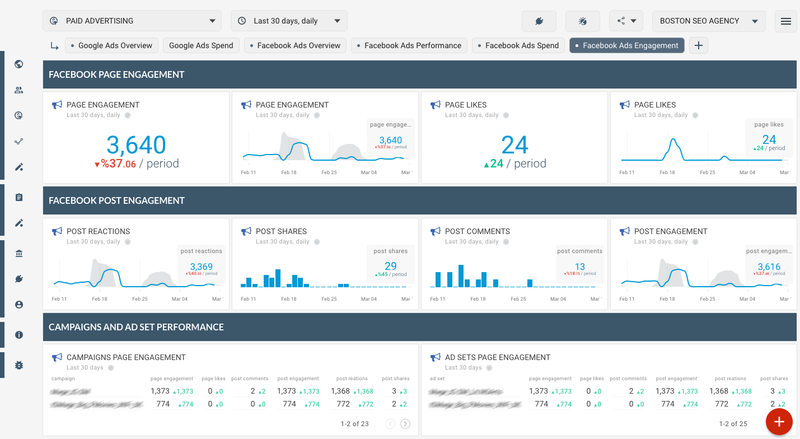 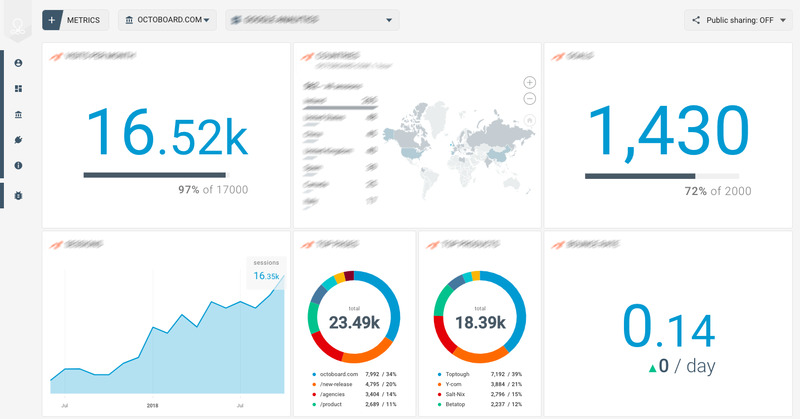 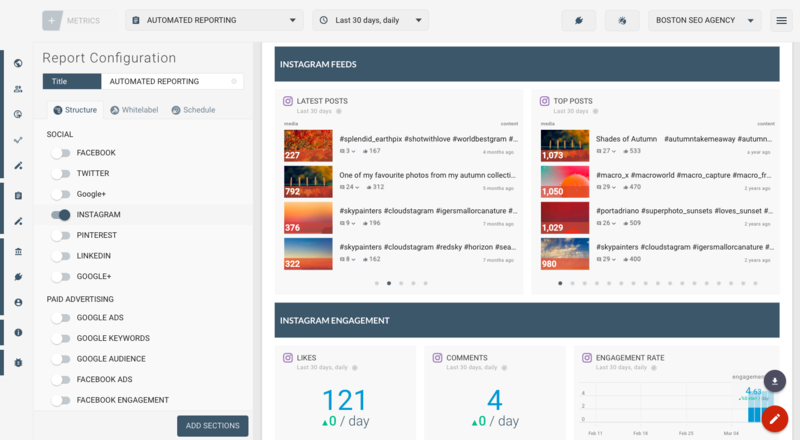 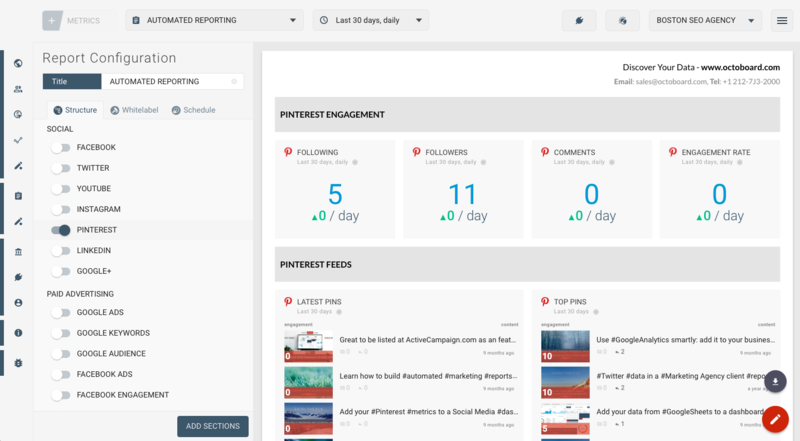 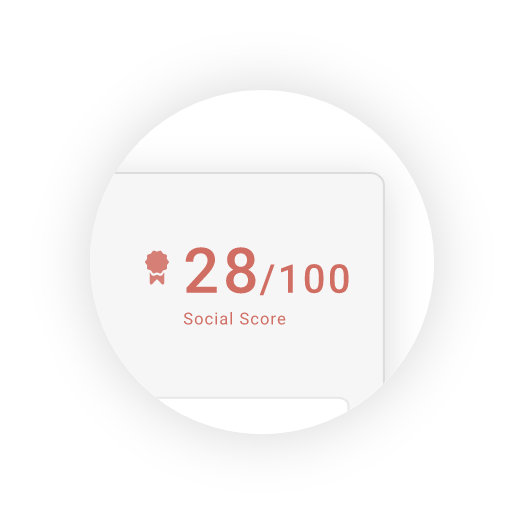 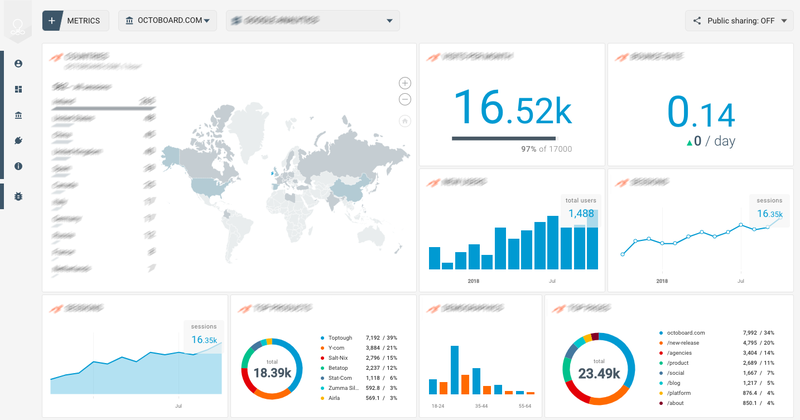 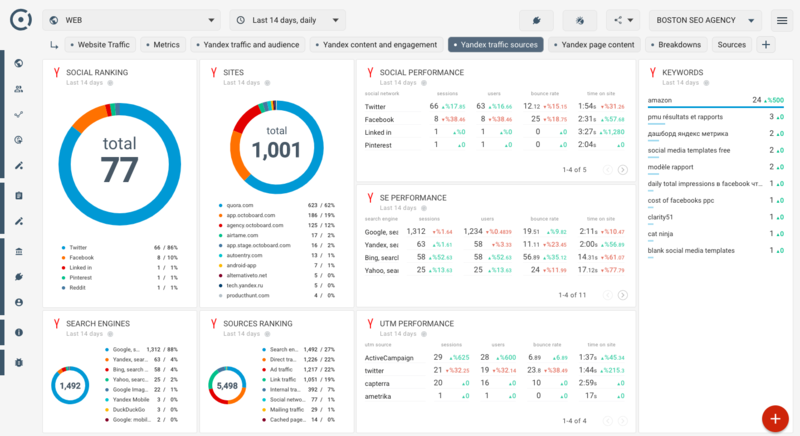 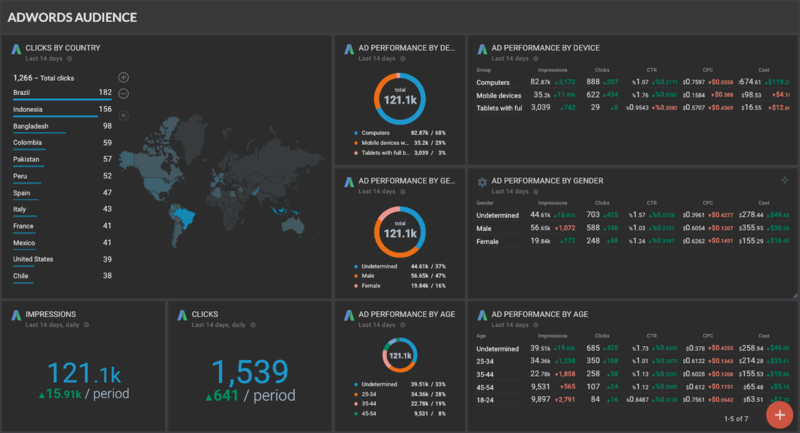 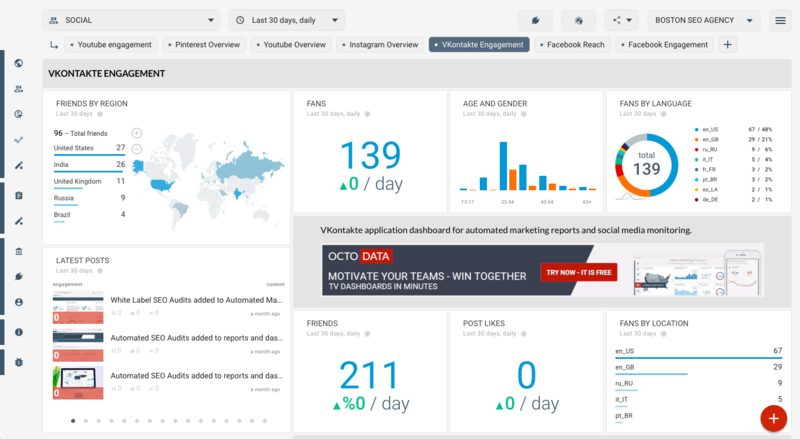 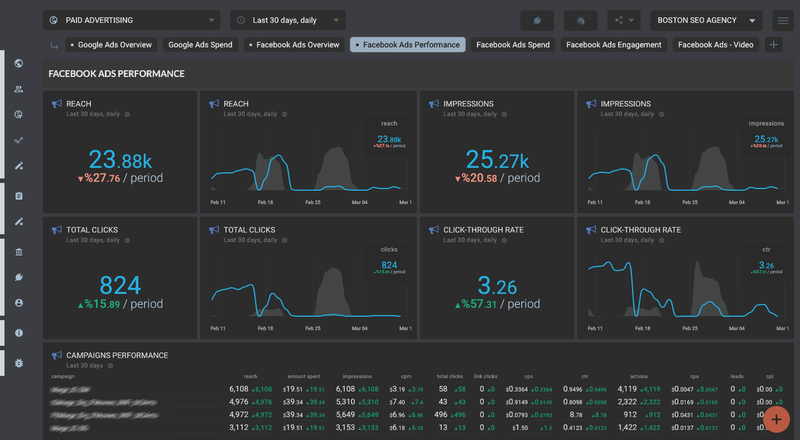 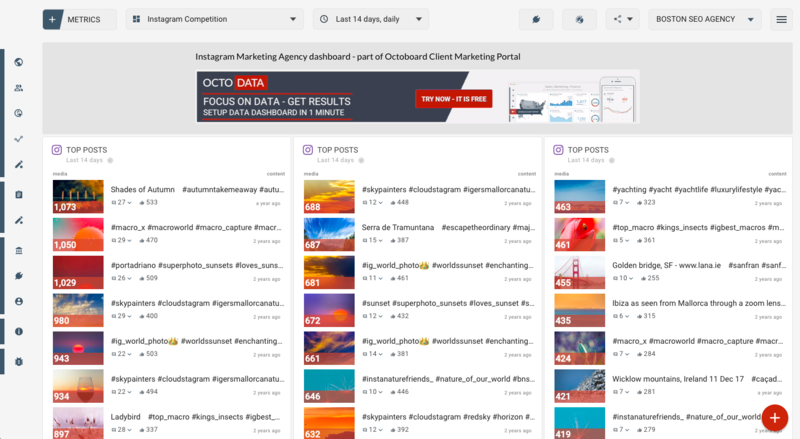 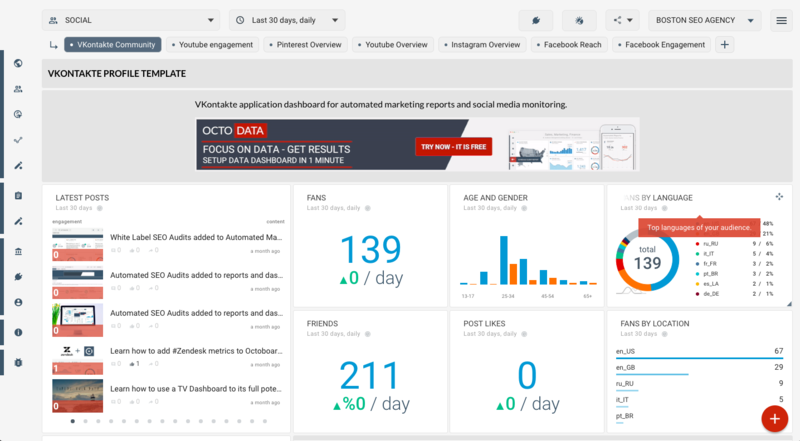 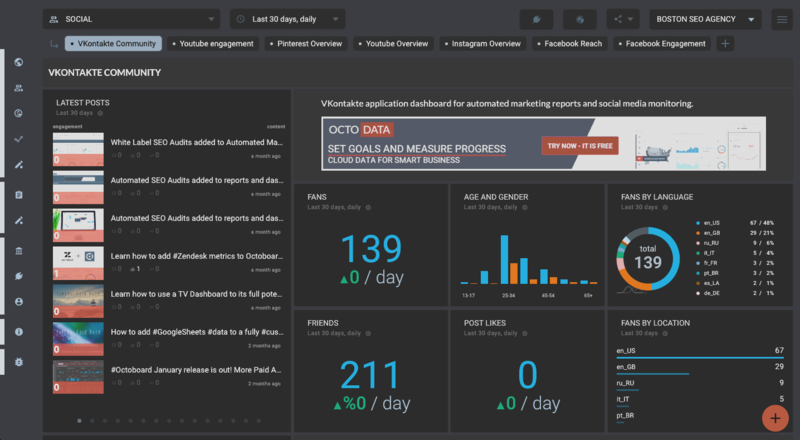 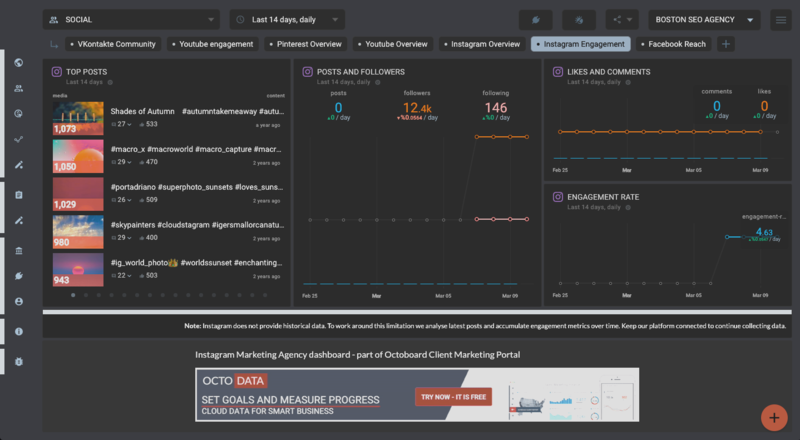 Instagram social media dashboard: feed, reach and engagement metrics. 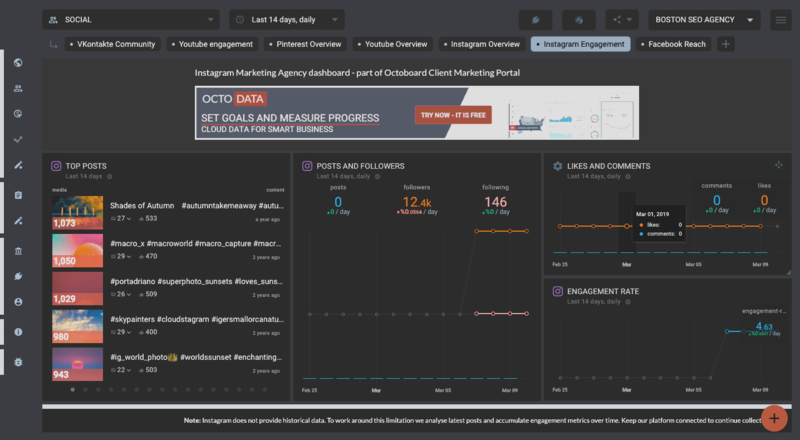 Instagram social media report: feed, reach and engagement metrics. 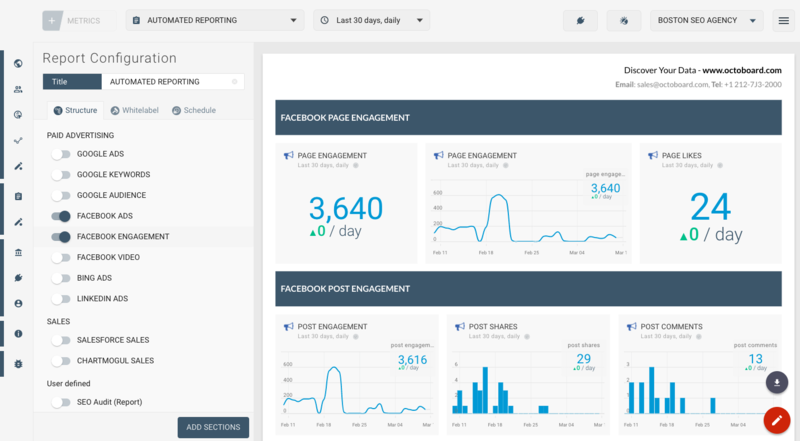 Google Plus social media report: feed and engagement metrics. 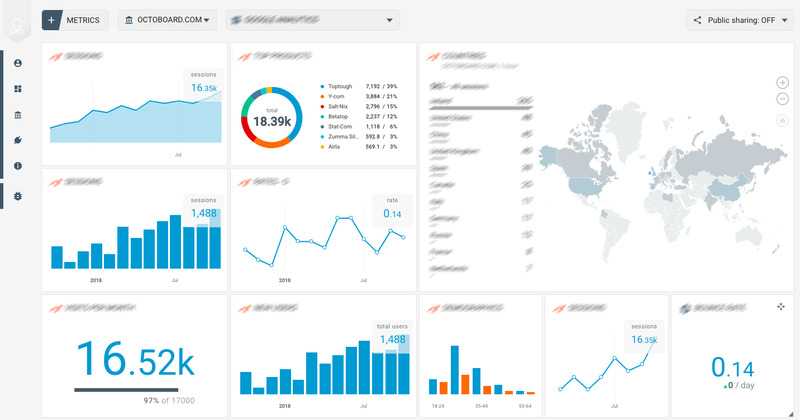 Revenue, pipeline, top deals and sellers ranking in a report. 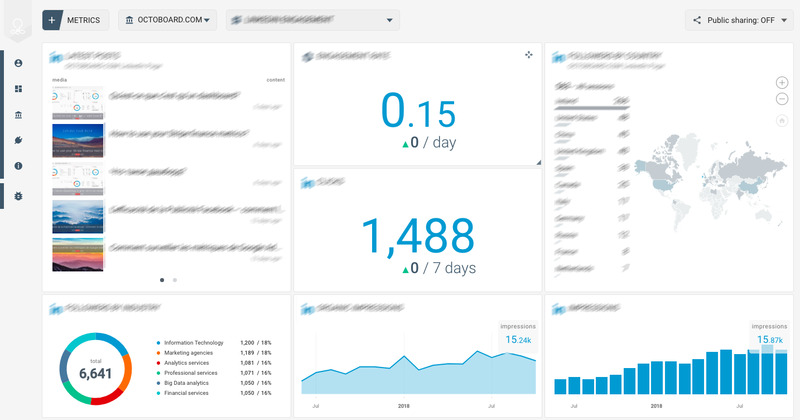 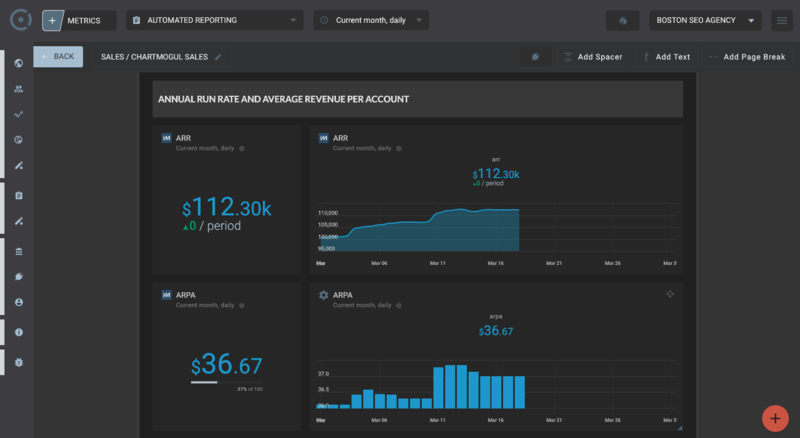 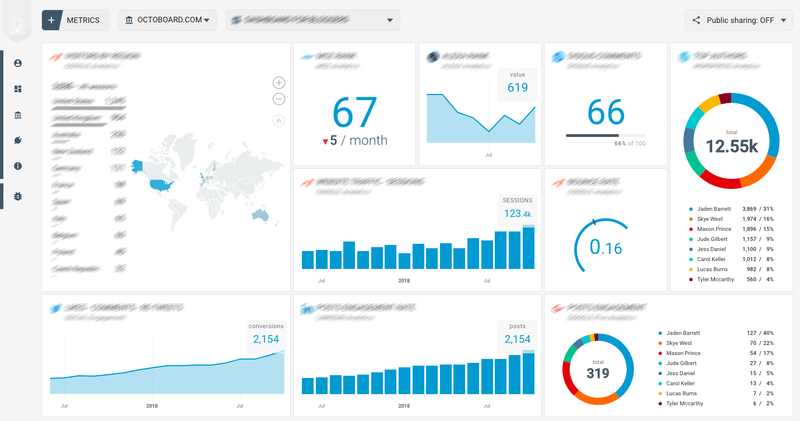 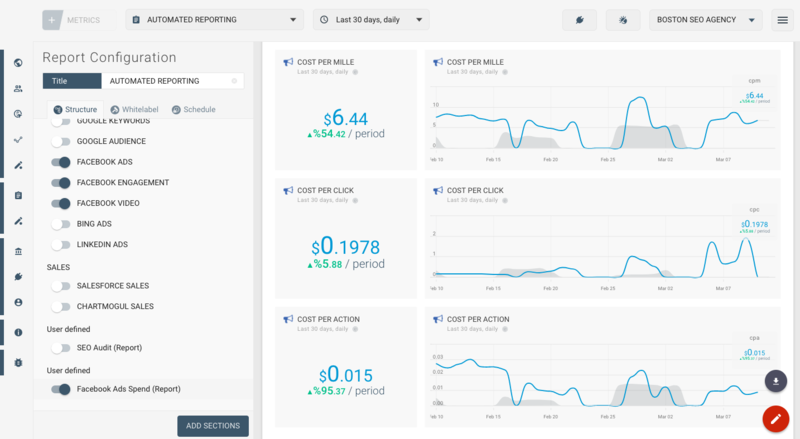 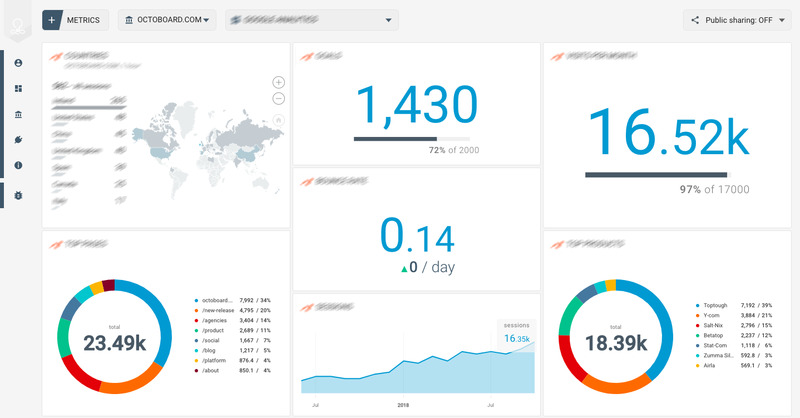 Financial performance dashboard using data from Xero. 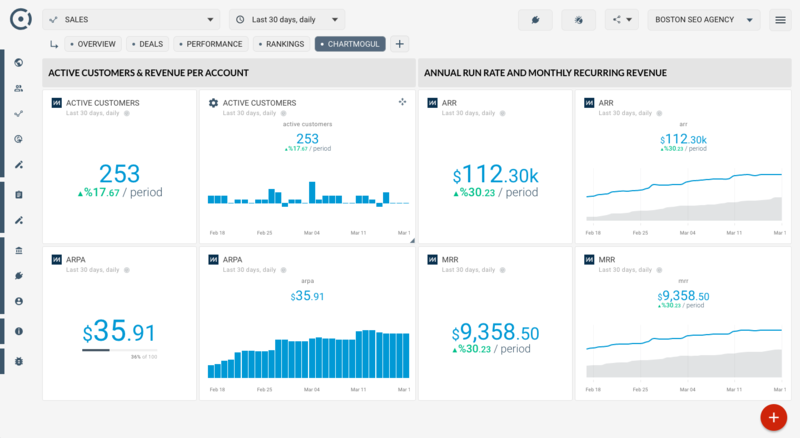 Get more value out of your cloud data. 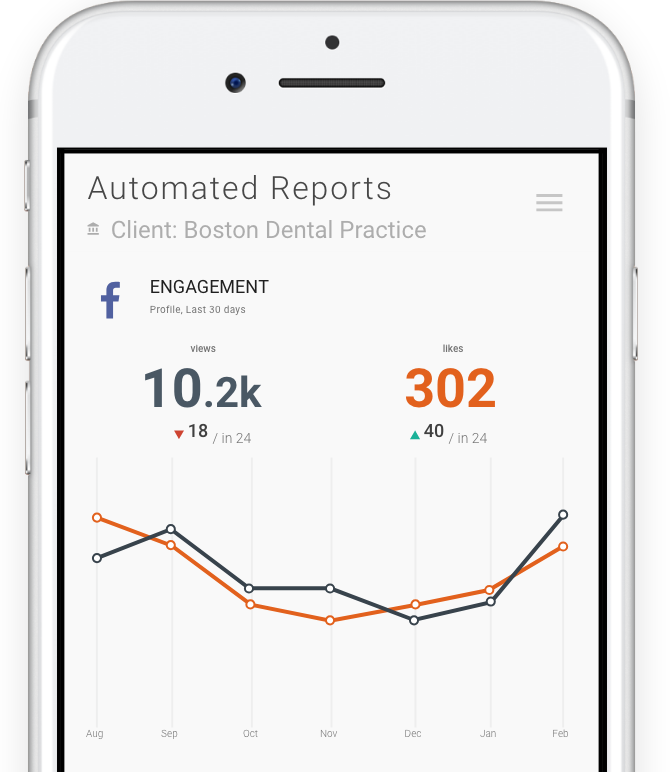 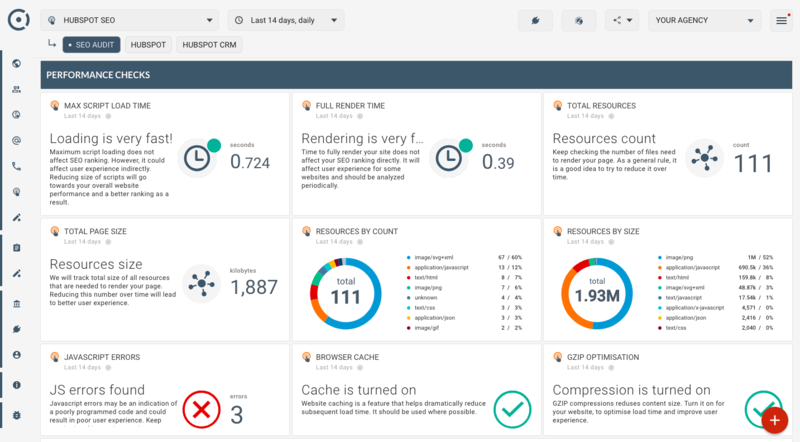 Start using performance metrics now.